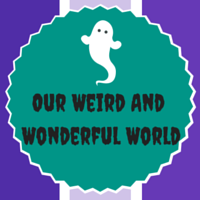 This week sees Chinese New Year and I thought it was a great time to take a look at the paranormal and supernatural of Chinese folklore. Ghosts and spirits have a strong place in Chinese culture and come in many forms, some of which are familiar and others that are very different to those found in Western culture. 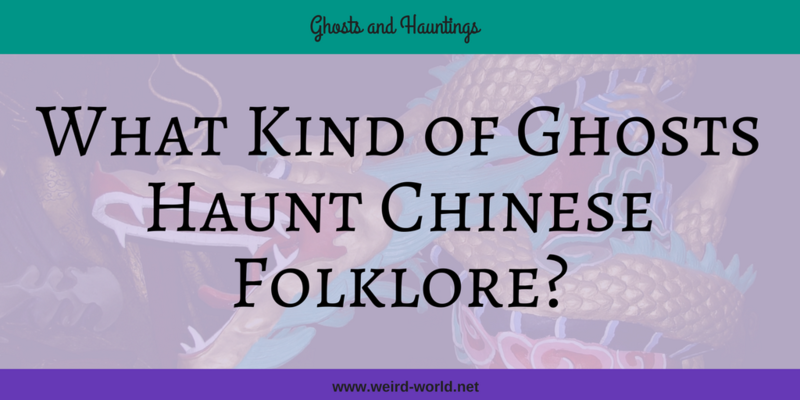 So what kind of ghosts haunt Chinese folklore? Just to let you know this post contains some affiliate links, which means that if you click on one of the product links, I’ll receive a commission payment. Chinese folklore has many names for different types of ghosts as well as for the spirits and deities relating to death and the underworld. At the heart of it all is the believe that a ghost is a spirit form of a person who has died. Mostly, ghosts are malevolent and like to cause harm to the living while their existence and behaviour is also closely linked to beliefs around ancestor worship that later became incorporated into Taoism. Buddhist beliefs on the supernatural also influenced Chinese folklore and how ghosts and spirits were viewed. Another big part of Chinese folklore is the belief that a medium could be used to contact dead relatives and ancestors and that they would help the living if appropriately rewarded. The Hungry Ghost Festival is celebrated in China as well as around the world where Chinese culture has spread and is a remembrance of the dead. 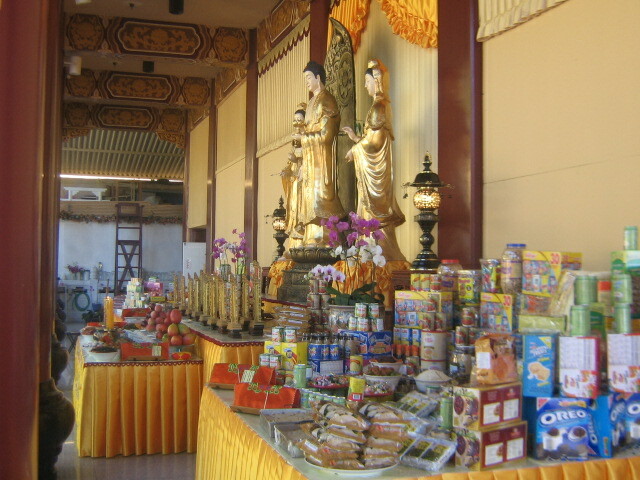 This day is when ghosts and supernatural creates come out of the Underworld to move around the living so food and other offerings are left for them. Incense and paper money are also burned to bring good luck from those spirits. A cornerstone of Chinese culture surrounding the dead and ghosts is the importance of proper burial. Cemeteries were located in rural areas away from towns and cities and the earth spirits that occupied them were known as tudi gong. In order to bury someone in the graveyard, a person needs to honour these spirits and the gods to purchase the land from them. A contract would then be written up between the living relatives and the spirits that included the name and title of the dead person, their date of death, the exact dimensions of the plot and the price paid for it. It was witnessed and the document was placed in the grave with the body. The idea was that the spirit of the dead person would then pass over to the underworld. Grave goods were placed in the grave with them including favourite objects and food and the family mourned the person for the correct period of time – three years for parents and grandparents, during which time they could not attend parties, play music or even go to work in government jobs. If any steps were missed out, it was believed that the spirit would return to haunt the living. While we in the West are unsure what a ghost is and what causes it to manifest, the story in Chinese folklore is much clearer. There are two parts to the human soul – the po and hun. The po is associated with the yin aspect, with darkness, water and earth while the hun is associated with light, fire and the heavens and the yang aspect. The two elements combined to make the person with the hun being in control and bringing reason to the instinct of the po. 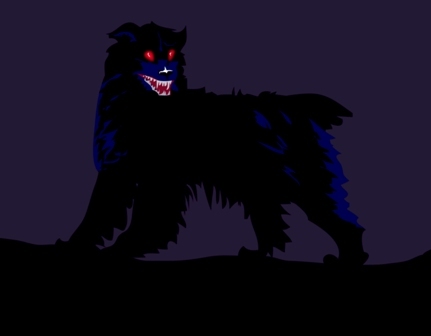 If a person returned to haunt the living, then it could be either the hun or the po that was responsible but depending on which resulted in the kind of ghost the person became. For example, ghosts that haunt a house where they lived, haunted their relatives or asked strangers for help were all classed as po haunting, where the spirit is still attached to the earth when proper rituals were not carried out. However, spiritual possessions, ghosts who fool people to think they are alive and revengeful ghosts are hun hauntings because this was the rational part of the person. While the po and the hun are general types of ghost based on their behaviour, there are also many other types of ghosts in Chinese folklore. When the spirit returns as a ghost, it known as a guei, kuei, kui or gui depending on the area. The E gui is the spirit of a person who was greedy in life and was punished after death with an insatiable hunger that they cannot quench as their mouth is too small to infest food. They are grey or green in colour and are found in streets near kitchens. Some can split flames and is often seen around the Festival of the Hungry Ghosts. Di fu ling are the ghosts of people who are tied to a specific location, such as their place of burial or where they lived before death. The diao si gui are the ‘red tongued ghosts’ and are the spirits of the hanged, either those who have committed suicide or have been sentenced to death. They are showed with a long red tongue hanging from their mouth. The Jiangshi is more like a Western zombie than a typical ghost and its name even means ‘stiff body’. The Jiangshi steals the breath from a person which was said to contain qi, the vital energy. The spirit would pursue a person until their breath was taken so that it could live in a sense as it could never return to the underworld. These spirits are also known as ‘hopping ghosts’ because their bodies are so stiff they move with a hopping motion. Charms and spells can be used to ward them off. Spirit of a woman who had been abused in life and often murdered. She would haunt a specific place, looking for justice and would act similar to a succubus, drawing the hun from men and killing them, while only scaring women away. The shui gui or water ghost is the spirit of a person who drowned and whose body was never recovered so never had a proper burial. 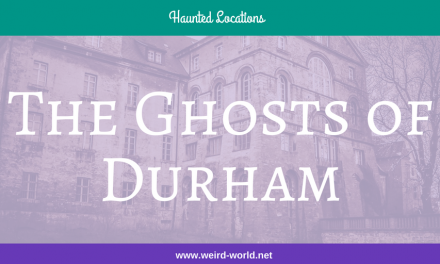 They haunt the area where they died and often attempt to lure other people to a watery death. The Chinese believed that you could wear and talisman or amulet to protect against them when swimming or going near water. Yuan gui are the ghosts of those who died a wrongful death and whose souls are looking for peace. They roam around trying to communicate with the living and find out what happened in their lives, as well as someone to help clear their honour and find peace. Chinese folklore also features types of ghosts that had never been human and were more associated with deities, demons and other supernatural beings that feature in other folklore. Kuei-shen are nature demons, spirits of the earth but not the same as the tudi gong, earth spirits. These were immortals and had never been human nor were they bound to a specific place. Many were mischievous and some were evil but could not possess a person. 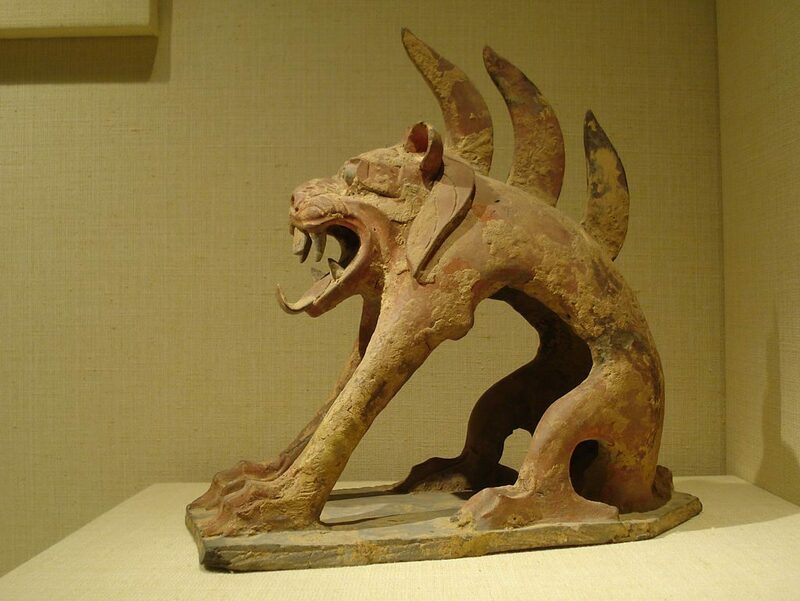 Oni were evil spirits who could possess a person, lead them astray or even possess a house. Sometimes they had been a person and other times they had always been spirits. Yaogui ‘strange ghost’ is the Chinese term for a demon, malevolent spirit that has acquired magical powers and is aiming for immortality. Not all yaogui are demons, however, as some particular ones have their own strange stories. They can also breed and the Chinese hell called Diyu is filled with their offspring. 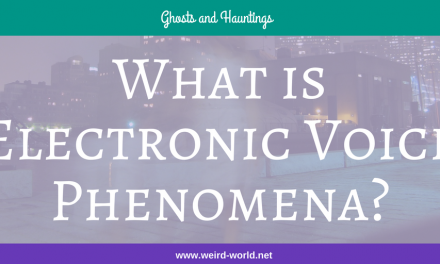 What is Electronic Voice Phenomena? 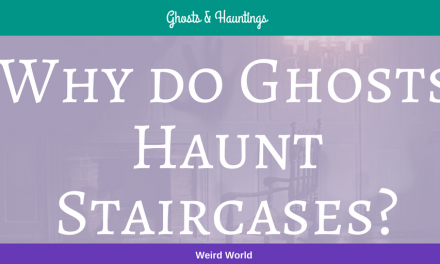 Why do Ghosts Haunt Staircases?